‘JMTC’ Hydraulic Press Hand Operated are rugged and heavy duty machines capable to perform numerous operations under challenging conditions. These machines have a very wide range of applications in various industries. Our machines are constructed with high level of workmanship quality to ensure long and trouble free service life. 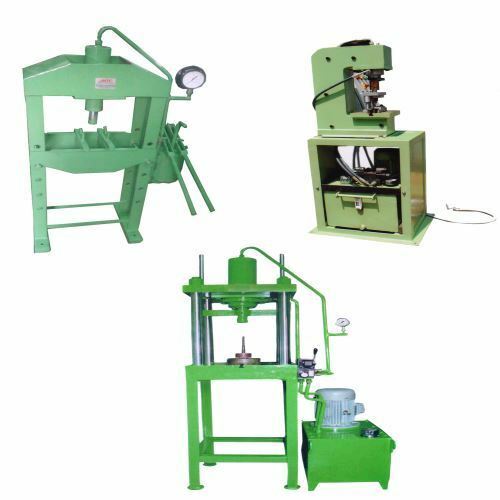 Our Hydraulic Press Hand Operated is made out of heavy duty all steel fabricated body that is designed to withstand crunching structural loads when put under heavy work loads. These are such designed so as to offer operator an easy to operate and maintain machine.